The World Meteorological Organization (WMO) is warning that climate change impacts have continued in 2018 – the long-term warming trend has continued, with the average global temperature set to be the fourth highest on record. The statement includes details of impacts of climate change based on contributions from a wide range of United Nations partners. “We are not on track to meet climate change targets and rein in temperature increases,” warned WMO Secretary-General Petteri Taalas. “Greenhouse gas concentrations are once again at record levels and if the current trend continues we may see temperature increases 3-5°C by the end of the century. If we exploit all known fossil fuel resources, the temperature rise will be considerably higher,” he said. National meteorological and hydrological services have been contributing to national climate assessments. A new U.S. federal report has detailed how climate change is affecting the environment, agriculture, energy, land and water resources, transportation, and human health and welfare, with a risk that it will lead to growing losses to American infrastructure and property and impede the rate of economic growth over this century. Temperatures: 2018 is on course to be the fourth warmest year on record 2018 started with a weak La Niña event, which continued until March. By October, however, sea-surface temperatures in the eastern Tropical Pacific were showing signs of a return to El Niño conditions, although the atmosphere as yet shows little response. If El Niño develops, 2019 is likely to be warmer than 2018. Greenhouse gases continue to rise: In 2017, carbon dioxide, methane and nitrous oxide concentrations reached new highs, according to WMO Greenhouse Gas Bulletin. 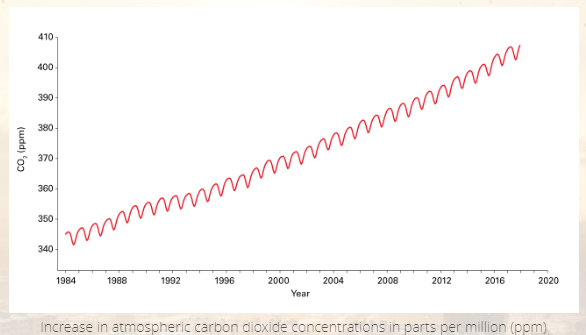 Increasing levels of greenhouse gases in the atmosphere are key drivers of climate change. 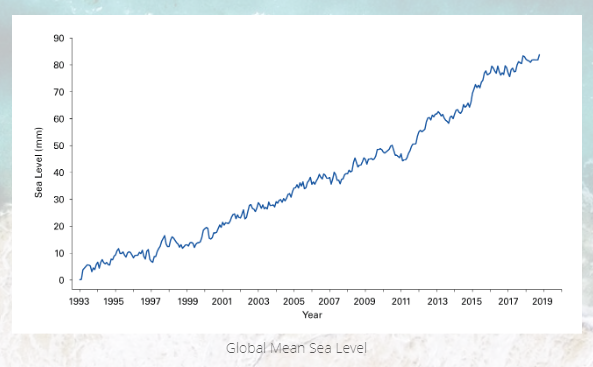 Sea level rise continues: Global Mean Sea Level from January to July 2018 was around 2 to 3 mm higher than the same period in 2017. Ocean heat content at record high: The oceans absorb more than 90% of the energy trapped by greenhouse gases and 25% of anthropogenic CO2 emissions, making them warmer and more acidic. For each 3-month period until September 2018, ocean heat content was the highest or second highest on record. 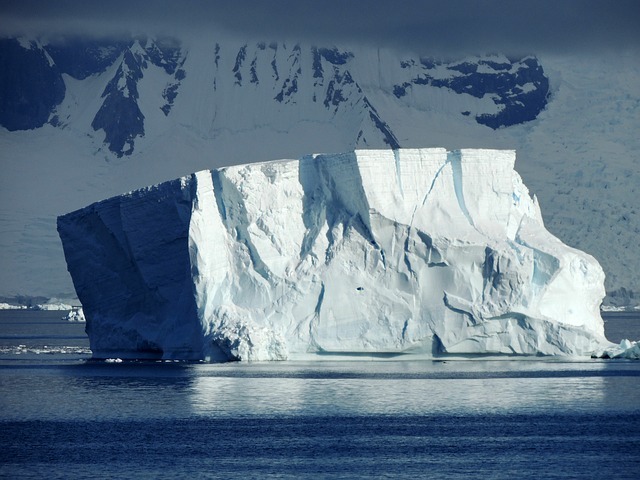 More than 90% of the energy trapped by greenhouse gases, goes into the oceans. Sea ice well below average: Arctic sea-ice extent was well below average throughout 2018 with record-low levels in the first two months of the year. The annual maximum occurred in mid-March and was the third lowest on record. The minimum extent in September was the 6th smallest on record, meaning that all 12 smallest September extents have been in the past 12 years. 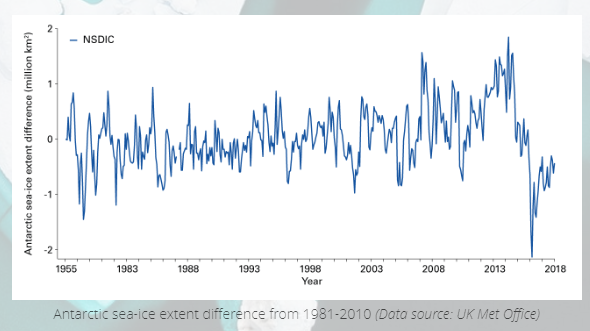 Antarctic sea-ice extent was also well below average throughout 2018. The annual minimum extent occurred in late February and was ranked as one of the two lowest extents. Extreme Weather: The number of tropical cyclones was above average in all four Northern Hemisphere basins, with 70 reported by 20 November, compared to the long-term average of 53, leading to many casualties. Floods and rainfall: In August, the southwest Indian state of Kerala suffered the worst flooding since the 1920s, displacing more than 1.4 million people from their homes and affecting more than 5.4 million. Large parts of western Japan experienced destructive flooding in late June and early July, killing at least 230 people and destroying thousands of homes. Flooding affected many parts of east Africa in March and April. Heatwaves and drought: Large parts of Europe experienced exceptional heat and drought through the late spring and summer of 2018, leading to wildfires in Scandinavia. In July and August, there were numerous record high temperatures north of the Arctic Circle, and record long runs of warm temperatures., including 25 consecutive days above 25 °C in Helsinki (Finland). The WMO Statement on the State of the Global Climate is based on data provided by National Meteorological and Hydrological Services and other national and international organizations.WMO uses a range of datasets, including the United States National Oceanic and Atmospheric Administration, NASA’s Goddard Institute for Space Studies, and the United Kingdom’s Met Office Hadley Centre and the University of East Anglia’s Climatic Research Unit in the United Kingdom. The recently released Intergovernmental Panel on Climate Change (IPCC) special report on Global Warming of 1.5°C reported that the average global temperature for the decade 2006-2015 was 0.86°C above the pre-industrial baseline. The report said the 1.5°C target was physically possible but would require unprecedented changes in lifestyle, energy and transport systems. The WMO report adds to the authoritative scientific evidence that will inform UN climate change negotiations which start tomorrow and run to 14 December in Katowice, Poland. The key objective of the meeting is to adopt the implementation guidelines of the Paris Agreement on Climate Change, which aims to hold the global average temperature increase to as close as possible to 1.5°C.